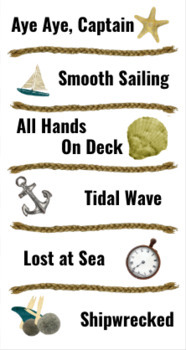 These individual nautical clip charts are the perfect way to enforce behavior. Tape them to the corner of each desk and add a paperclip. You can decide the consequences and the rewards for each level.